Solar power is the cleanest form of energy known. Solar panels have no moving parts, no repair, no maintenance. Unlike conventional energy sources, which are location-specific, i.e. coal must be mined where it exists, the sun shines everywhere. Harnessing its power will create jobs right here in Vermont. 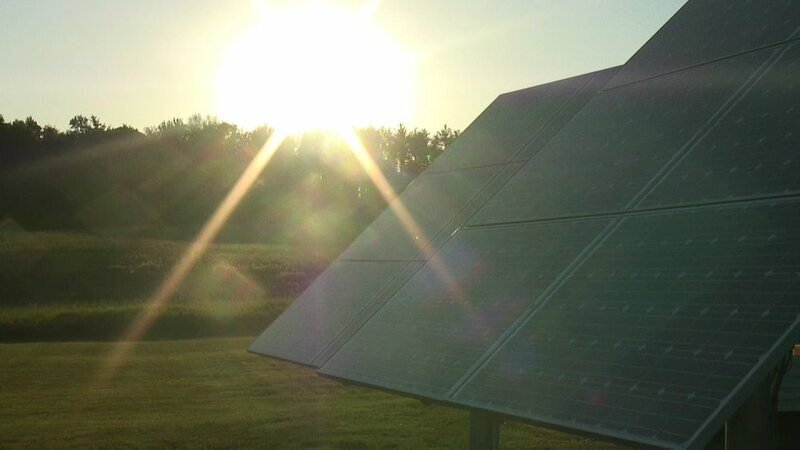 The solar panels that Same Sun of Vermont uses are guaranteed to be at 80% or more effective after 25 years of use. Every kWh generated by your solar array offsets 1 pound of carbon pollution per year. An average residential system will offset more than 100 TONS of carbon in its 30-year life; this is equivalent to planting more than 12 acres of trees. Per Vermont Statute, your utility company must pay a premium for solar production, equal to the state average residential rate per kilowatt hour (kWh), plus in most cases, a $0.04 per kWh adder. Ten years of your current electric bill will get you thirty years of clean solar power. The earth receives about 1,366 watts of direct solar radiation per square meter proving that there is enough solar energy to power the earth’s usage each day. The United States is responsible for almost 25% of the world's total energy consumption. We use one million gallons of oil every two minutes. Germany, the world's greatest solar producer, receives less light per day than Vermont. Contact Us for more information or to learn more about the facts and benefits of solar.